The release of Forza Horizon 4 is still a few months away, but a new leak has already revealed over 450 cars which are in the game. The developer even commented on the leak, and while it looks like things can change, it seems unlikely as of now. A player had pre-ordered the game and noticed that the game was already pre-loading through the Microsoft store. It was when the player went through the game files that the roster of cars was seen. These cars were later categorized based on the manufacturer in a Reddit post. The developer stated on Twitter that the pre-loading wasn’t intentional and that the final game will be automatically downloaded once it releases. Keep in mind that there may be changes to the roster at the time of release, but what we’ve seen now certainly looks impressive. 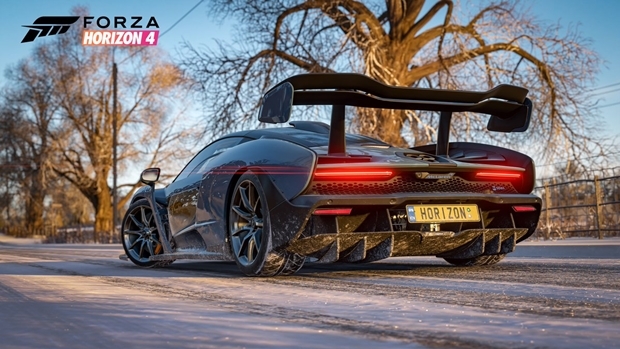 Froza Horizon 4 is set to release worldwide for the PC and Xbox One on October 2.